Click here for a countdown to the reset. 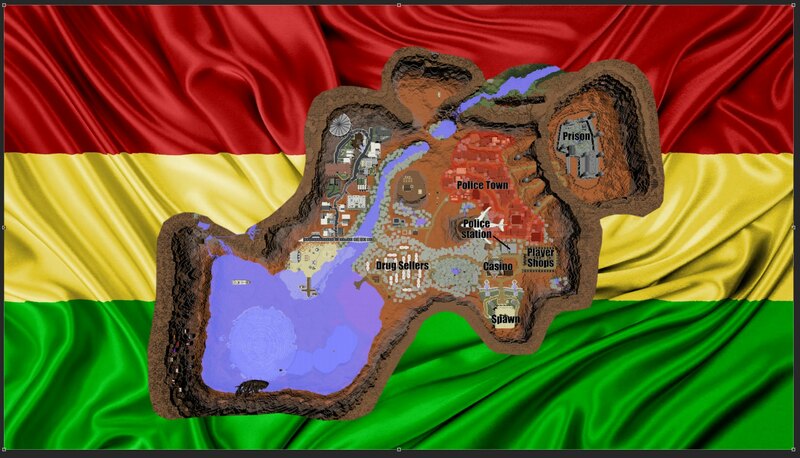 Before all the news, we'd like to greatly thank everyone who helped out with the new map. This includes those who helped build, gave suggestions, and helped test. It could not have been as awesome as it is without all of you. Our focus with this year's reset was to refine the Drug theme that we have developed. You won't see many huge changes to gameplay over last map (unless you join the police), but we can guarantee that your gameplay will be much smoother than last map. We've got some much better server hardware, and we're hoping to see almost no lag, even with 100+ players, with much better performance than last year's reset. Now let's get into some of the changes you'll be seeing with the new map. Due to many complaints about the length of PvP fights last map, we've made some changes. XP bottles are now unobtainable. However, mending is still obtainable and works. Gold apples now have a one minute cooldown, and super gold apples have a five minute cooldown. Because of some villager farms that were being used near the end of last map, we've decided to make these farms almost impossible. Villagers do not spawn anywhere on the map, so the only villagers available are going to be the ones that spawned in the villages when the world generated. MCDrugs will be having it's fourth major map reset in one month, on Friday May 11, 2018. Before the info about the reset, we have some pre-reset news. The Reset Fund has been added to the server. You can use /rf deposit <amount> and /rf balance. The reset fund is a sort of bank account that you can deposit your money into, but not withdraw it. The reset fund opens today, and you have until May 10 to deposit money into it. At the start of next map, the 25 players who have deposited the most money into the reset fund will receive exclusive rewards, including map starter kits, special chat tags only obtainable from pre-reset activities, and keys for the exclusive Loyalty Crate. The top 25 all get the same reward, but the higher you are on the leaderboard, the higher your head will be in the new spawn. The board showing the top 25 Reset Funds next map will also show the amount deposited - the only way to show your wealth during this map after the reset. However, you cannot see the top 25 players, so you'll need to keep making and depositing money in order to secure your position. This is the one month notice of the annual MCDrugs reset. Last year's reset was on Friday, May 12. We chose to do it as close to a year as we could, while keeping it on a Friday, and picked May 11, one month from today. All progress will be reset. This means your money, drug/cop rank, mcMMO stats, etc. will be set back to the start. Points are also being reset, so if you were saving up for a rank, get it before the 10th! We believe it is necessary to do these resets every year to keep big factions from dominating the server; giving a clean, fair start for everyone. We are looking forward to the new dynamics that will be created at the start of the new map. Over the past couple months, a single player on the server has made a huge impact to everyone who has been graced by his presence. From being a public servant as a traffic light, to helping children with their math homework through his work as a calculator, Mad_Arc has had an impact on every MCDrugs player. He was the first player to ever receive the HeadTrialHelper rank, and today we are honouring him with a new title; the third owner of MCDrugs. Spalw and I welcome Mad_Arc to our rank, and hope he will improve the server with his creative mind. EDIT: As of 7:39AM this morning, Mad_Arc has taken full control of the server, locking Spalw and I out of the console, Buycraft, and everything else. We no longer have power on the server. Mad_Arc now has full power, please respect our glorious leader. Now for the new addition to the server, Bitcoin. 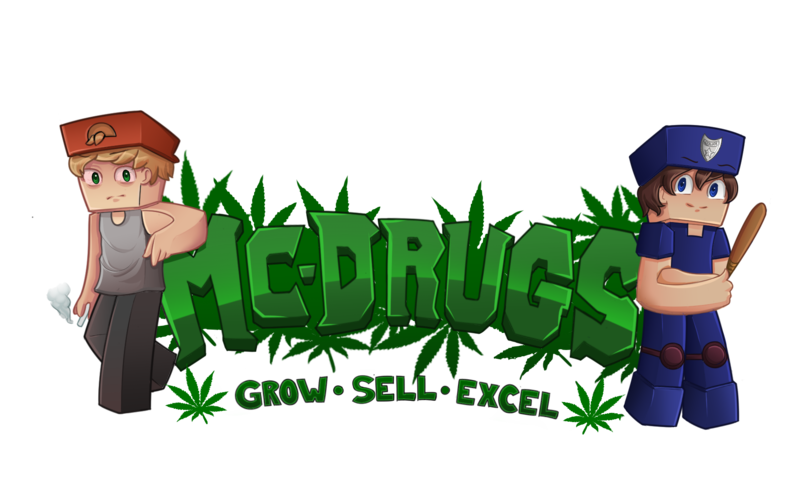 After months in development, the new MCDrugs Bitcoin cryptocurrency system is being released. To get Bitcoin, you can try to solve a puzzle with /bitcoin mine. The first player to solve the puzzle gets anywhere from 30-50 Bitcoin, and a new puzzle is generated. Bitcoins can be used to buy special items from the black market with /bitcoin blackmarket. The most important part of Bitcoin is their monetary value. We're going to have the Bitcoin trading market closed for a day to work out the kinks and make sure everything works fine, but starting on Monday, you will be able to sell your bitcoin for ingame money. The current value of Bitcoin is broadcasted in chat every couple minets. Spring is here, so we're bringing back the Flower Bush! This time, it has a whole new set of custom enchantments. There's some great discounts on our Buycraft right now. They will run for a couple weeks. Flower bush shears can be purchased on our Buycraft or in /shop. Once you have one, use it on the flower bush at spawn to get one of nine exclusive, enchanted flowers. You'll need a flower binding agent to add these enchants onto an item, but they're much more common now than they were during the Spring sale. Every time the community donation goal is hit, everybody online the server at the time will receive a Spring Flower! Right click the flower in your hand for a chance to get a flower binding agent. If you get one, you can use it to get an admin to put a custom enchant from a flower onto any item.